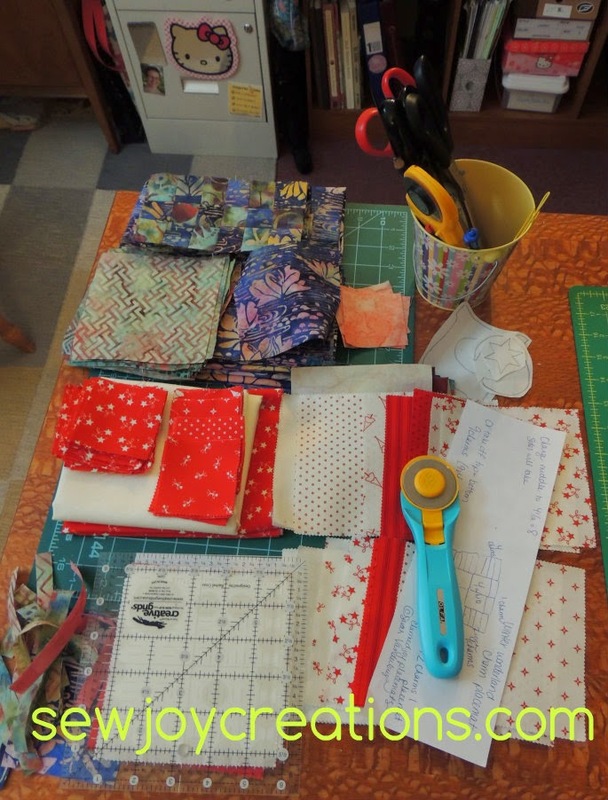 Ideas are flowing fast these days - witness the one end of my cutting table with 3 projects piled on it. So far I've only cut one charm the wrong way! These little 3 1/2 inch nine patches are the greatest little gifts! Like little chocolates:) This one is my favourite so far. 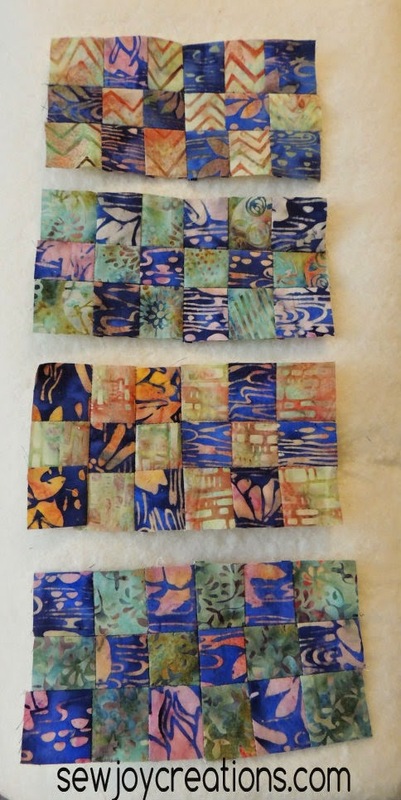 I started these blocks on a whim, a desire to play with some batiks. And to try out this tutorial. The plan is evolving and will require the purchase of some more fabric. Surprise! Linking up with W.I.P. 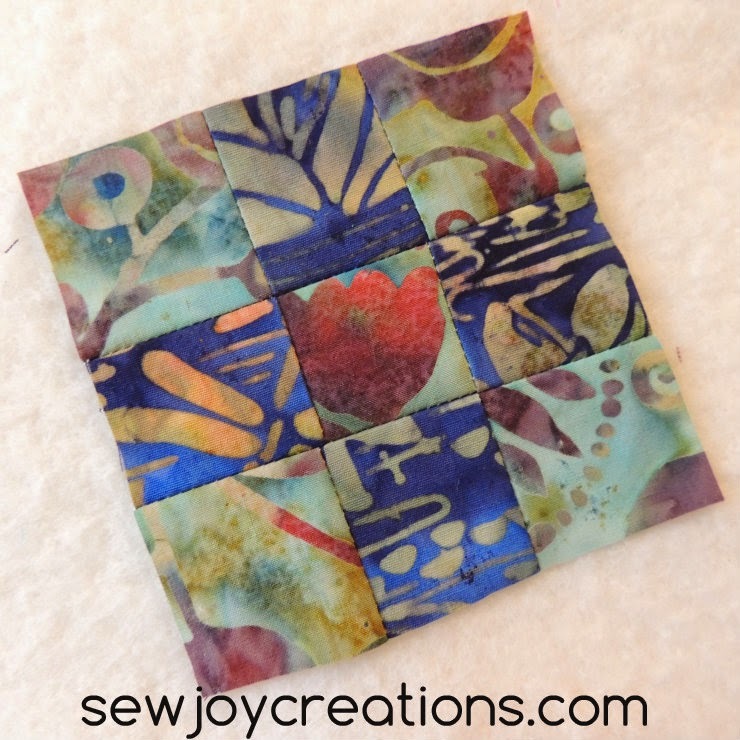 at The Needle and Thread Network. I just love those tiny little blocks. The fabric is so beautiful. 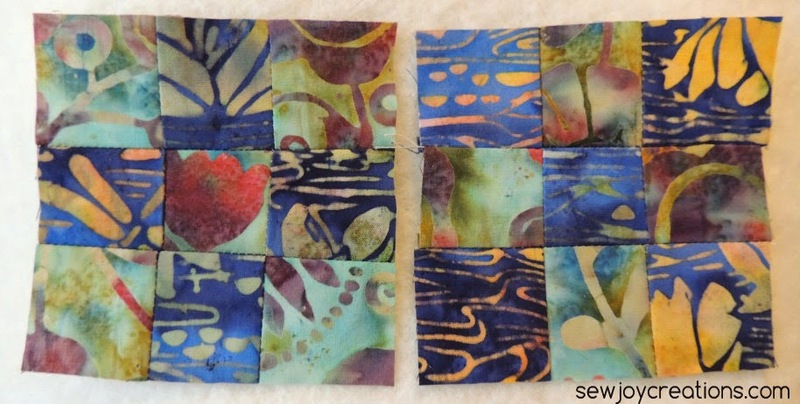 Really nice fabrics together! And thanks for the link to the tutorial. Oh and thanks for letting us know about your poetry blog. Brave of you! cute blocks... looks like you're having fun! Those little 9-patches are so cute, what will they be when they grow up?